For the American astrophysicist, see William Alfred Fowler. 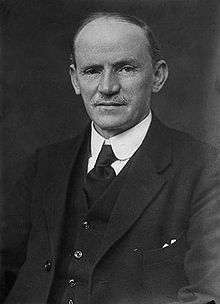 Alfred Fowler, CBE FRS (22 March 1868, in Yorkshire – 24 June 1940) was an English astronomer. Not to be confused with American astrophysicist William Alfred Fowler. He was born in Wilsden, Yorkshire and educated at London's Normal School of Science, which was later absorbed into Imperial College, London. "Associate of the Royal College of Science. Assistant Professor of Physics (Astrophysics Department) Imperial College and Technology, South Kensington. Distinguished for his contributions to Astronomical Physics by spectroscopic observations of eclipses, solar pre-eminences, and sunspots, and by experimental researches bearing on their interpretation. Associated in observations of total eclipses of the sun with Sir Norman Lockyer in 1893, 1896, 1898, 1900, and (with Prof Callendar) in 1905. " He was awarded their Royal Medal in 1918 and delivered their Bakerian Lectures in 1914 and 1924. Fowler was president of the Royal Astronomical Society from 1919 to 1921 and died in Ealing, London in 1940. Spectroscopic Comparison of o Ceti with Titanium Oxide (Monthly Notices, Roy Astron Soc, vol lxix, 1909). 1 2 Dingle, H. (1941). "Alfred Fowler. 1868-1940". Obituary Notices of Fellows of the Royal Society. 3 (9): 483–426. doi:10.1098/rsbm.1941.0016. ↑ "Notes". Nature. July 17, 1913. p. 511. ↑ "Henry Draper Medal". National Academy of Sciences. Archived from the original on 26 January 2013. Retrieved 19 February 2011.